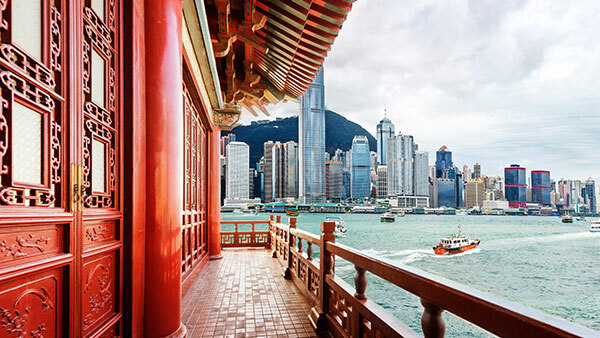 We examine the evolution of China’s capital markets and its potential impact on global markets. 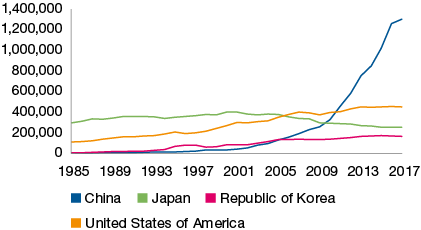 Read more to understand the investment opportunity that we believe China offers. Why take an all-China approach? Source: WIPO statistics database, December 2018. Valuations appear cheap versus developed markets. Source: Bloomberg, Investec Asset Management, 19.02.19. Source: FactSet, MSCI, Goldman Sachs Global Investment Research. 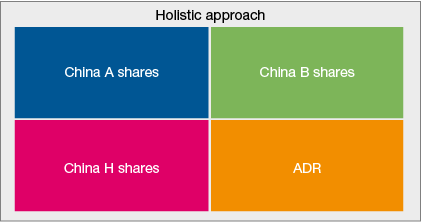 A holistic approach which includes China A-shares, B-shares, H-shares and ADR for the broadest opportunity set andmaximises exposure to best ideas. 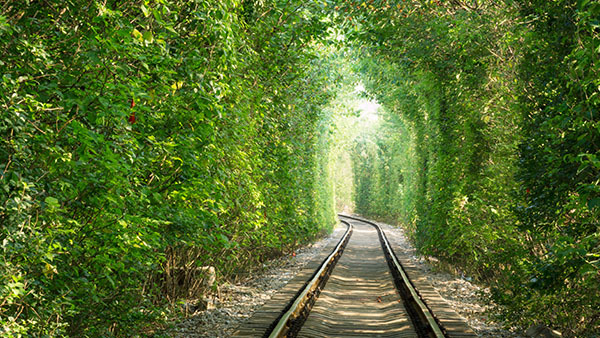 An all-China approach provides a better balance from a sector perspective. 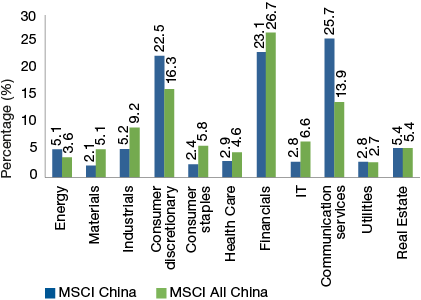 The MSCI China Index is heavily skewed towards Consumer Discretionary, Financials and Communication Services, whilst the MSCI All China Index has broader sector exposure and is more representative of the domestic economy. Source: Bloomberg, CICC Research, 28.02.19. Despite the introduction of Stock Connect and other initiatives to increase efficiency, the premium between H-shares and A-shares remains at about 20%-45%. This creates arbitrage opportunities. Source: Bloomberg, 19.02.19. This is not a buy, sell or hold recommendation for any particular security. The Fund aims to provide long-term capital growth primarily through investment in equities or equity-related securities issued by Chinese companies listed anywhere in the world. 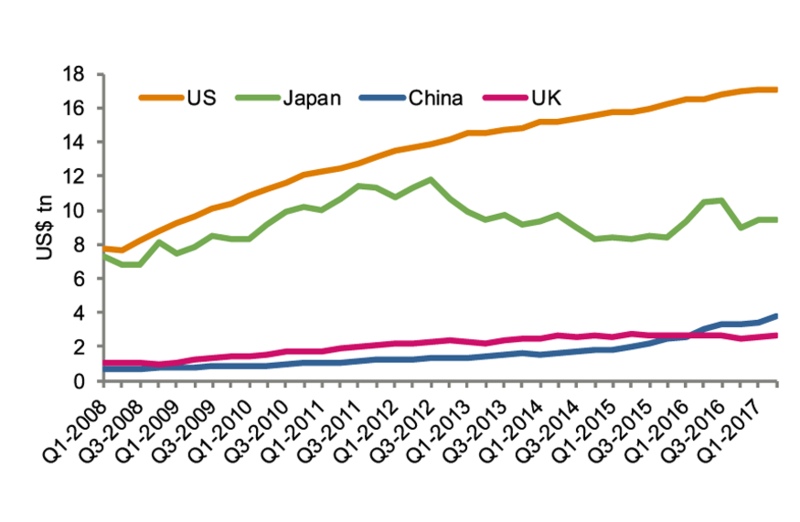 Why invest in all-China equity? *Performance target will not necessarily be achieved, losses may be made. Geographic / Sector: Investments may be primarily concentrated in specific countries, geographical regions and/or industry sectors. This may mean that the resulting value may decrease whilst portfolios more broadly invested might grow. Currency exchange: Changes in the relative values of different currencies may adversely affect the value of investments and any related income. Derivatives: The use of derivatives is not intended to increase the overall level of risk. However, the use of derivatives may still lead to large changes in value and includes the potential for large financial loss. A counterparty to a derivative transaction may fail to meet its obligations which may also lead to a financial loss. 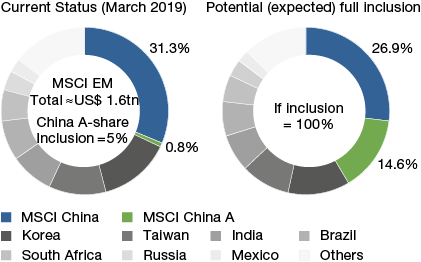 Emerging market (inc. China): These markets carry a higher risk of financial loss than more developed markets as they may have less developed legal, political, economic or other systems. Equity investment: The value of equities (e.g. shares) and equity-related investments may vary according to company profits and future prospects as well as more general market factors. In the event of a company default (e.g. insolvency), the owners of their equity rank last in terms of any financial payment from that company. Concentrated portfolio: The portfolio invests in a relatively small number of individual holdings. This may mean wider fluctuations in value than more broadly invested portfolios. Source: JPM, Bloomberg, 28 February 2018. 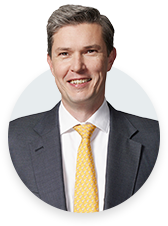 Comprising the JPM GBI Global Index are bonds issued by the governments of Australia, Belgium, Canada, Denmark, France, Germany, Italy, Japan, Netherlands, Spain, Sweden, United Kingdom and United States of America. Source: Bloomberg, December 2017. 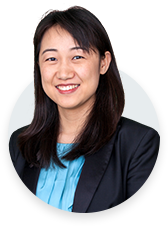 Onshore CNY Bonds: JP Morgan Asia Diversified Broad China Index TR; Offshore CNH Bonds: MarkitiBoxxAsia Local Bond Index China Offshore TR Index Unhedged; Offshore USD China Bonds: JP Morgan Asia Credit Index China TR; Global DM Bonds: JP Morgan Government Bond Index Global Unhedged USD; Global DM Equities: MSCI World Index; Global EM Local Bonds: JP Morgan GBI-EM Global Diversified Composite Unhedged USD; Global EM USD Bonds: JP Morgan EMBI Global Diversified Composite; Global EM Equities: MSCI Emerging Markets Index. * Correlations calculated based on monthly returns data, from 2008 to 2017. 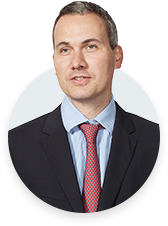 Gain exposure to the world’s largest developing bond market that is under-represented and set to increasingly feature in global fixed income allocations. 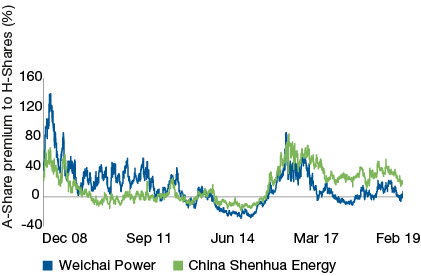 Bloomberg Barclays announced launch of the Global Aggregate + China Index in March 2017, with China’s projected weight at 5.9%. 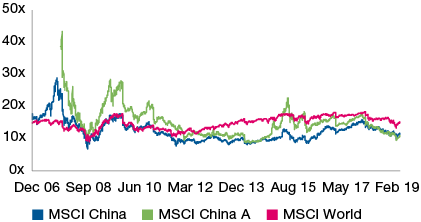 Citi also included China in its Emerging Markets bond indices in March 2017. 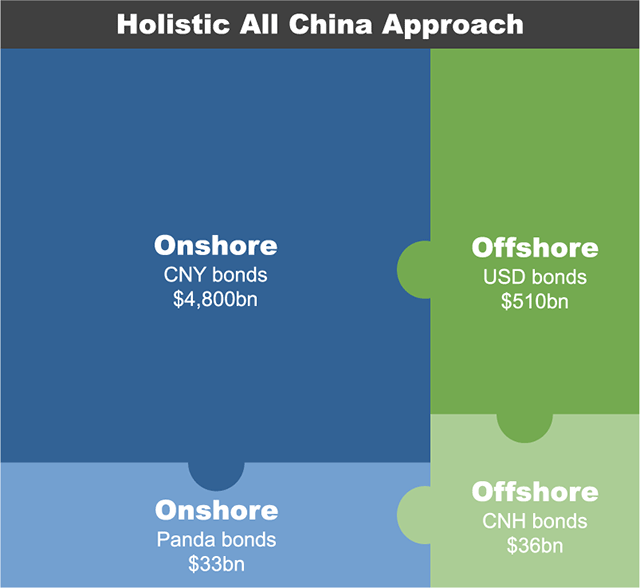 Source: Onshore CNY bonds: Bloomberg Barclays China Aggregate; Onshore Panda bonds: Bloomberg; Offshore USD bonds: JPM Asia Credit Index (China, HK, Taiwan, Macau); Offshore CNH bonds: ICE BofAML China Offshore Broad Market. February 2018. IAM calculations. All information is as at 31.03.18 unless otherwise stated. 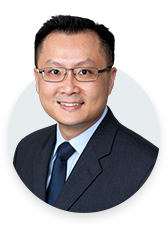 The Fund aims to provide income with the opportunity for long-term capital growth primarily through investment in a portfolio of debt securities issued by Chinese borrowers both offshore and in mainland China. Geographic / Sector: Investments may be primarily concentrated in specific countries, geographical regions and/or industry sectors. This may mean that the resulting value may decrease whilst portfolios more broadly invested might grow. Currency exchange: Changes in the relative values of different currencies may adversely affect the value of investments and any related income. Default: There is a risk that the issuers of fixed income investments (e.g. bonds) may not be able to meet interest payments nor repay the money they have borrowed. The worse the credit quality of the issuer, the greater the risk of default and therefore investment loss. Derivatives: The use of derivatives may increase overall risk by magnifying the effect of both gains and losses leading to large changes in value and potentially large financial loss. A counterparty to a derivative transaction may fail to meet its obligations which may also lead to a financial loss. Emerging market (inc. China): These markets carry a higher risk of financial loss than more developed markets as they may have less developed legal, political, economic or other systems. Interest rate: The value of fixed income investments (e.g. 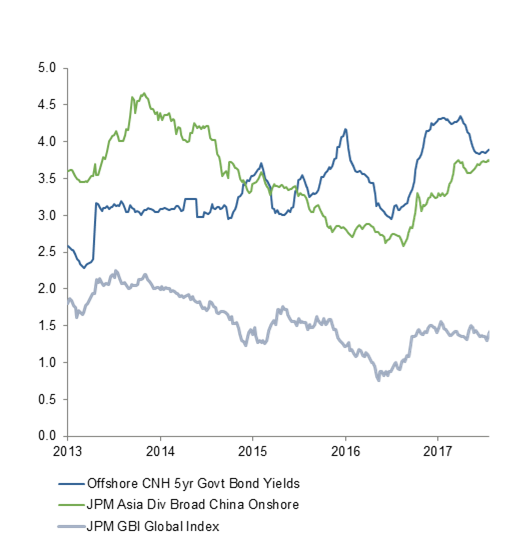 bonds) tends to decrease when interest rates rise. Government securities exposure: The Fund may invest more than 35% of its assets in securities issued or guaranteed by a permitted sovereign entity, as defined in the definitions section of the Fund’s prospectus.